At least 12 people were killed and others wounded this morning in Washington D.C. when a gunmen opened fire at the Washington Navy Yard in the heart of the capital. The shooting broke out in Building 197 of the Naval Sea Systems Command Headquarters. The Navy Yard is supposed to be a heavily secured office building where around 3,000 workers, both military and civilian, go to work everyday. Three wounded are expected to survive. 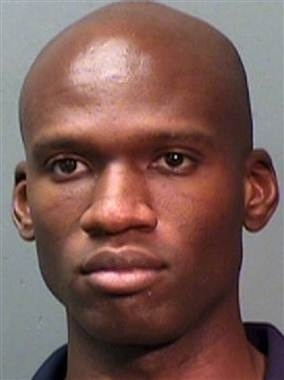 One gunman is also dead and has been identified as 34-year-old Aaron Alexis of Fort Worth, TX. Authorities were searching for a possible second gunman. Alexis was a Navy reservist but recently was a civilian contractor. No motive has been determined. The Abington Board of Commissioners voted 14-1 last week approving the installation of red-light cameras at three of the township's busiest intersections. The Pennsylvania Department of Transportation will review current traffic control measures at those intersections this week. If approved the cameras could go up by November. Abington would be the first municipality to try the program which was opened up to suburban townships in legislation passed last year. At first it would be for year-long pilot program to see if it does reduce accidents, and if not, they don't have to renew. Skeptics say it's just a money making scheme for the township. Tickets are $100 with no points on your license. Intersections under consideration include Old York Road and Susquehanna Road, Old York Road and Old Welsh Road, and Moreland Road and Fitzwatertown Road. A 23-year-old Philadelphia woman is accused of assaulting a flight attendant while aboard a plane Monday morning. Philadelphia Airport police responded around 10 a.m. to a US Air flight to remove a belligerent passenger. The passenger, Sasha Anderson, allegedly threw her cell phone at the male flight attendant and slapped and scratched his face. He suffered a minor scratch. Anderson was charged with Simple Assault, Recklessly Endangering another person, Harassment and Disorderly Conduct.